So, Monday, won't you bring us what we're waiting for? A call from the doctor, a course of treatment..
on the front of a couple of notebooks sent by Little E.
I did read and I scrapbooked and I knitted, grateful for hobbies which keep me happily and quietly occupied when my other half is sleeping. I put to very good use the new word I happened upon on Instagram (as you do): knitflixing, which, of course, is the act of knitting furiously for hours on end while enjoying a series of something on Netflix or Amazon. We've been watching the Manhattan Project. You? There were a couple of firsts. Our student appeared because she had thought it was high time she bought an ironing board. So we went shopping and, yes, we were the two women wrestling the said ironing board into a short car in a busy car park. It's a good thing ironing boards aren't the kind of accessory you buy too many of in a lifetime. Later last night I watched Little E fall off a horse for the first time. No, that's not right. He may well have fallen off before; but I was seeing video evidence for the first time. He called to show me his rosette. It's big and red and ruffle-y, and very encouraging. He wants to go back. And that's about it. Thank you so much everyone who has sent best wishes. We really apprciate it. Here's hoping for a good week! Last week Alexandra, Deb, Helena, KraftyKaren, Mitra, Mary-Lou, Ladkyis, Maggie and Alexa made a memo. Go on: give 'em a wave! And maybe think about joining us? I like the covers on your new notebooks. Oh dear for little E. If he is going to ride horses, falls are rather an unfortunate expectation ... well done for the red rosette. Continuing to send healing thoughts for your accountant man, along with wishes for a happy week. No binge-watching happening here - but we did watch a pretty good film Richard Linklater's 'Everybody Wants Some' ... worth it for the early 80s vibe alone. Oh yes, I'm good at overestimating how much one small woman can get into the back of a mini single handed! So sorry to hear that the health issues are still ongoing, I do hope a diagnosis and treatment plan comes very soon. Well done Little E for keep getting back on the horse, we like a man with resilience! Still not well? Oh dear. I hope he will better soon. So worrying waiting for results but now he has had your magic medicine that you concocted. I can see the ironing board scenario. Luckily my girl has one in her flat. Ironing board? They are not made like they used to be. I still use my Grandma's. When it broke we went out to buy a new one. They were so feeble we came home and he mended the old one! I like the knitflixing word, something I do a lot of. I've been watching Taskmaster recently which I find is an easy one to watch when knitting. Oh I might do some knitflixing this afternoon as I've got the day off work :) I can just imagine the "fun" you had trying to get the ironing board to fit! Sorry to hear that your husband is still poorly. Knitflixing? I like that! I was just plain old Netflixing with copious amounts of coffee on hand and a few too many biscuits. Sorry to hear the TA is still poorly ... amused at the thought of you, TNSSO, an ironing board and a Fiat 500 ... we watched Manhattan, The Brainy One constantly picked holes in the equations on all the chalkboards ... little E falling off a horse? Not so good ... receiving a ruffly rosette? Very good! You have taught me a new word Sian! Love it! I hope your DH feels all better soon and BRAVO to Little E! Sorry to hear TA is still in bed! Love those notebooks. None of my hobbies seem to work well while watching TV. I can listen, but I can't watch and create at the same time. I can edit photos, however, and have done a bit of that this week--mostly while watching the news--a rather depressing affair. The quiet before all kinds of crazy holiday stuff is good. Sad your dude is sick, but I am sure it will be the stuff of memories before you know it! Rock star Memo! So sorry to hear that your husband is still not well. Hope they figure it out and that he is feeling fine very soon. It must be stressful for you both. :( I have been knitflixing recently! Charity hats and Dexter! Love those little notebooks. Wishing you a good week with things getting back to normal. Just got back from vacation and spent quite a lot of time with knitters in my group. They all make it sound so wonderful - and if it is possible (I am sure after much practice) to Netflix too - I may just take the plunge. Still not better? That's not good news. Hopefully this coming week things will improve dramatically :) Sounds a lovely quiet weekend. 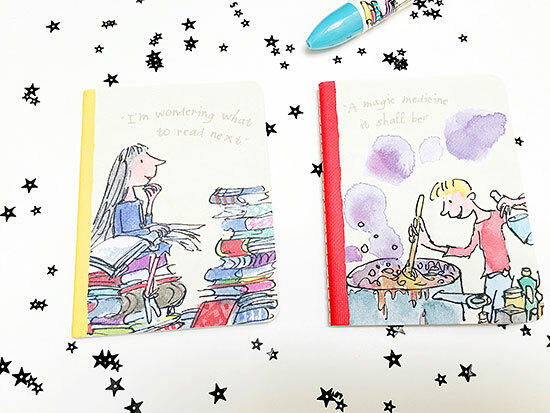 ADORE those notebook covers, I'd be waaaaay excited to have those arrive:) And I'm more likely to be Eat-flixing - if I was to Netflix - than anything else!!! I do like a new word, and knitflixing does it for me - I might even have to take up both just to be able to use it :). I'm sad to hear the Accountant is still unwell, though perhaps grateful to be spared the squash-the-ironing-board-in-the-car scenario. Did you take a photo? Just catching up - here's hoping you get that medical answer very soon!